This is the 7th generation TB EVO chassis. 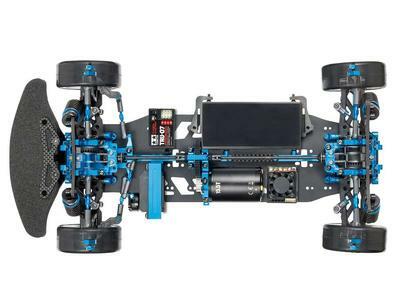 The new look TB EVO. 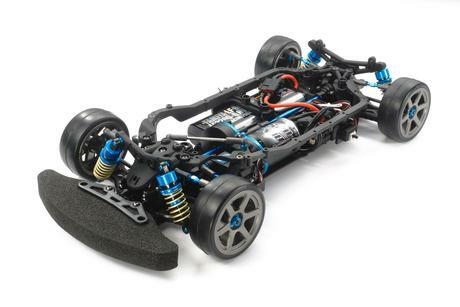 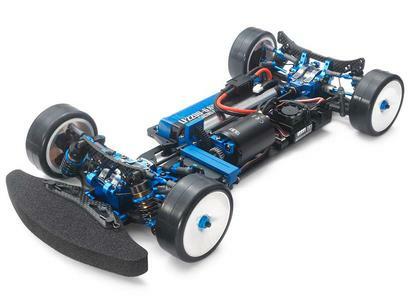 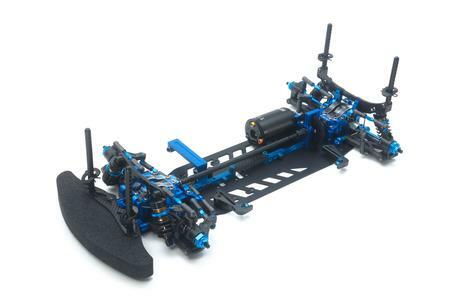 7 takes this chassis series, which is the pinnacle of Tamiya shaft-driven 4WD, in a brand-new direction: multiple selectable motor positions, the removal of an upper top deck with a stiffener used on the chassis deck in its place. 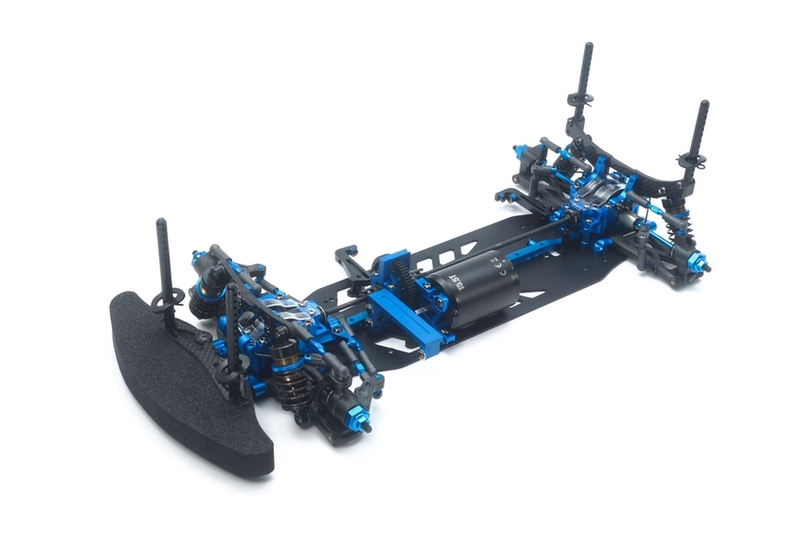 •	The chassis is based around a 2mm thick aluminum lower deck and 6mm thick center stiffener, which give a blend of rigid pitch damping and flexible roll. 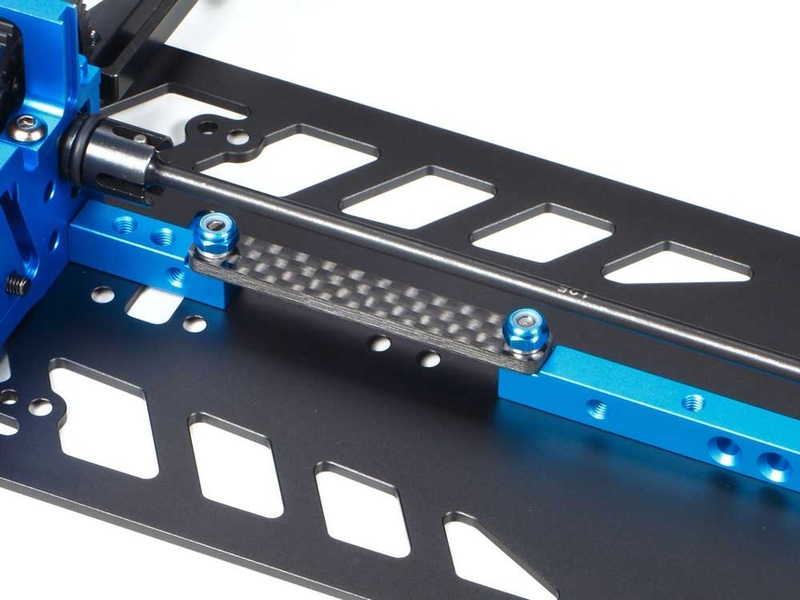 The number of screws used to attach the stiffener can be changed to alter chassis rigidity. 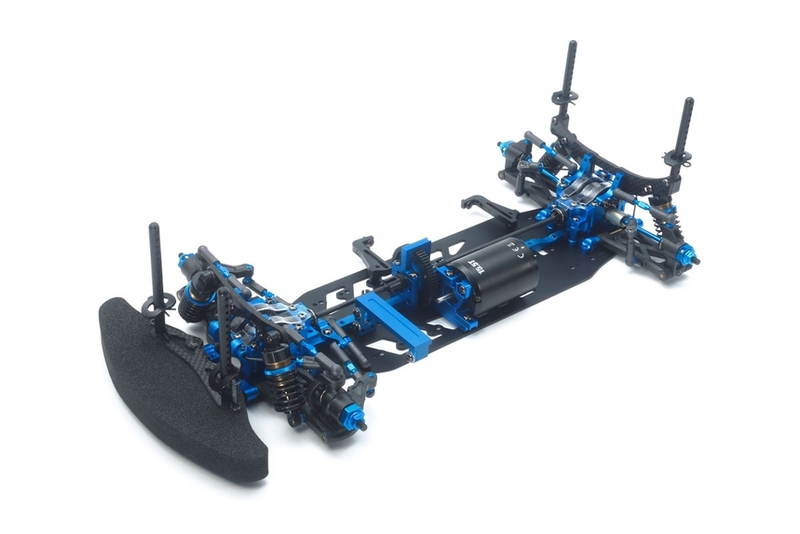 •	The lack of an upper deck lowers the chassis' center of gravity. 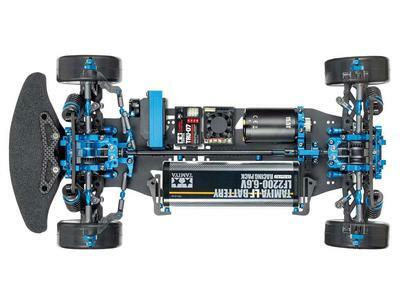 •	A largely overhauled layout includes updated motor positions and bulkhead design. 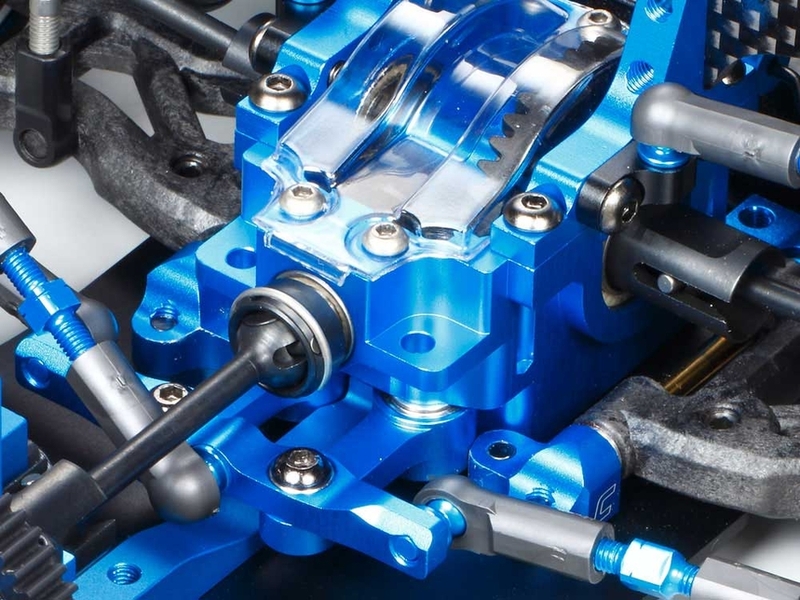 •	The motor is longitudinally mounted. 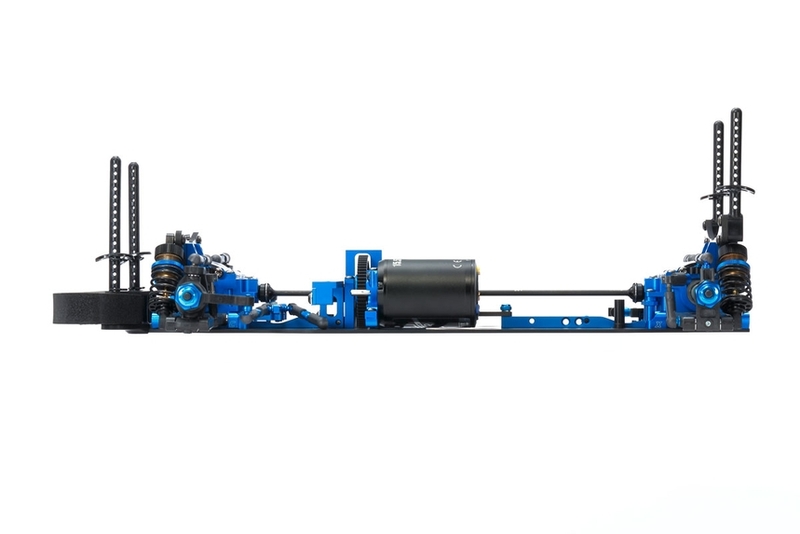 Users can choose from 3 layouts (front; mid; rear) to adjust performance depending upon track conditions and driving style. 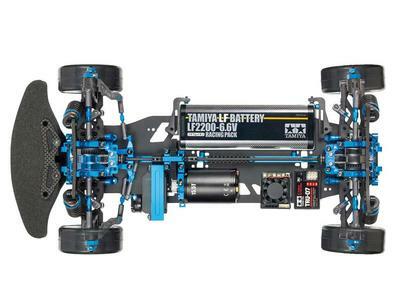 •	Equipped with TRF super short big bore dampers. 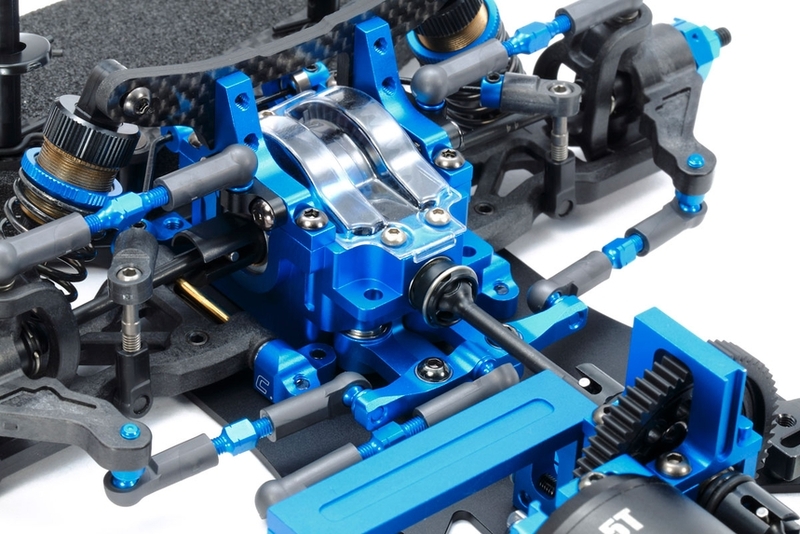 •	Motor clearance can be adjusted simply from above, for quick in-pit tweaks. 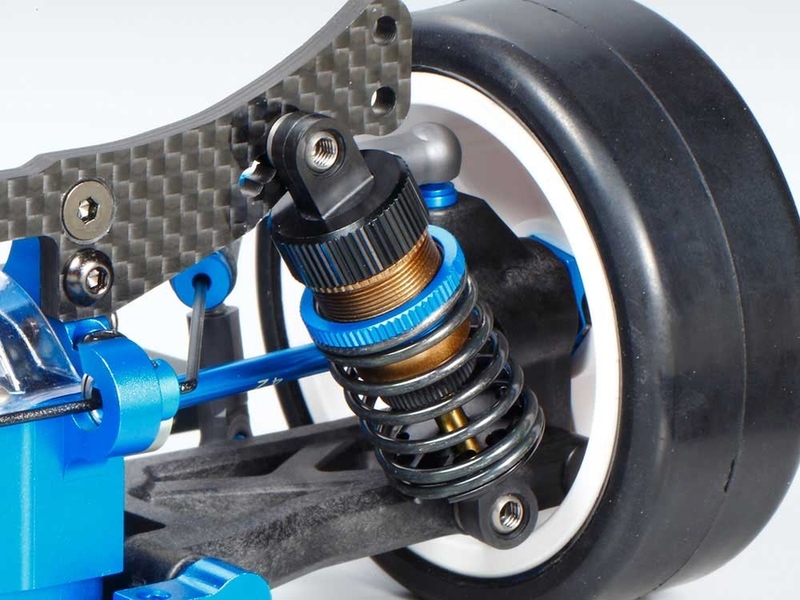 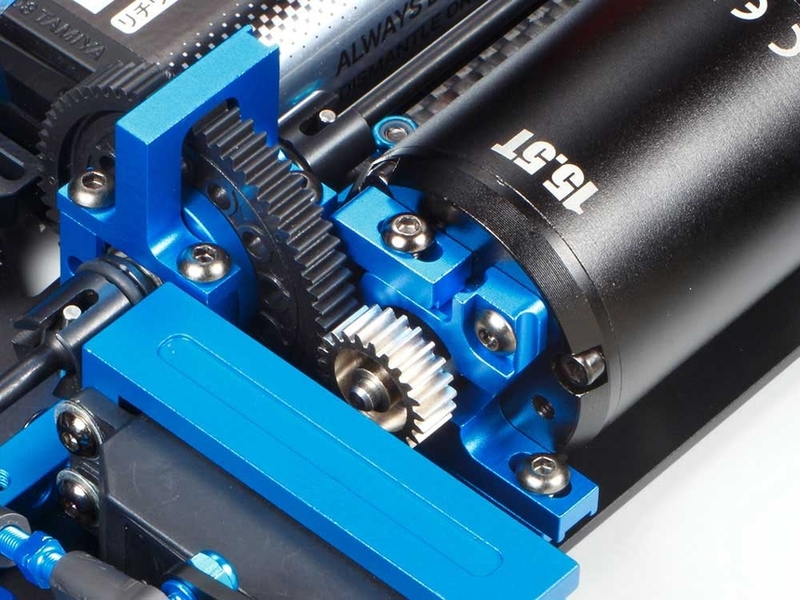 •	Steering linkage components are installed directly onto the bulkhead as opposed to being attached to the chassis. This removes any effect upon chassis roll. 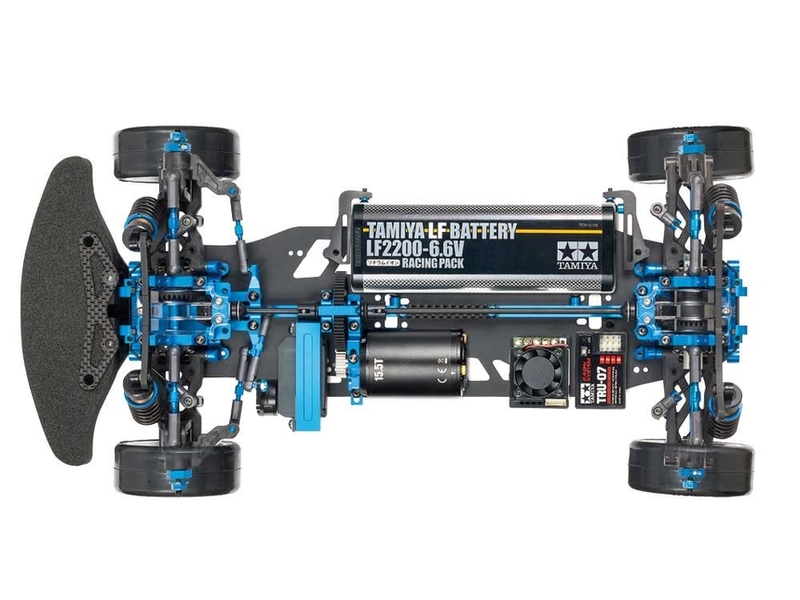 •	Highly-efficient shaft-driven 4WD is achieved with a front direct coupling and WO universal shafts, plus a rear gear (oil-filled) differential unit and aluminum drive shafts. •	Equipped with TRF418 suspension arms and TRF419 rear uprights.